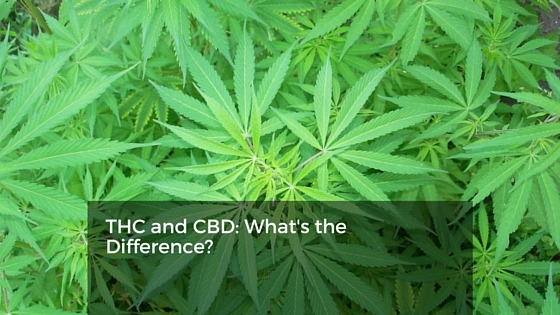 Blog THC and CBD: What's the Difference? For those who are new to the world of cannabis, trying to understand the differences between marijuana strains types can be confusing. To help ease any uncertainty, here are a few short, simple explanations about the differences between THC and CBD, the two of more than 85 known chemical compounds found in marijuana. Marijuana is commonly known for its ability to cause the user to get “high” or “stoned”. The chemical responsible for this characteristic “high” is tetrahydrocannabinol, or THC. Cannabidiol, or CBD, does not cause the same sensations and may, instead help control them by blocking THC from interacting with cannabinoid receptors. CBD is a cannabis component commonly sought after by the medical community. Research suggests CBD can extremely beneficial to over-all health without any psychoactive experience. In fact, CBD can counteract an unfortunate case of marijuana overindulgence so consider keeping a supplement, patch or CBD-heavy strain close by just in case. CBD plays a big part in marijuana’s pain relieving potential and can also decrease appetite and reduce inflammation. The THC in marijuana can alter your mood or disposition, but works differently to provide pain relief by distracting the mind from discomfort. A strain’s CBD content will often be listed on labels and strain descriptions, as will lotions, salves and other products used externally on the skin. Though THC has been has been a popular topic of conversation during marijuana rotations for more than 50 years, CBD has only gained its popularity over the last decade. Since then, researchers have been making amazing discoveries about the medical potential of CBD. The National Institute on Drug Abuse has stated that CBD can be therapeutically beneficial as an anti-seizure, anti-inflammitory, neuroprotectant analgesic with anti-tumor properties. It is also effective at reducing stress, anxiety and substance abuse disorders, and works as an anti-psychotic as well. Rocky Mountain Remedies in Steamboat Springs offers their WZ-CBD strain. THC offers different medical benefits including pain and nausea associated with chemotherapy, appetite stimulation and insomnia. Many have suggested that THC, CBD and the other 85 known cannabinoids work synergistically with the body to promote total health. Even though THC and CBD have the same chemical formula, their atoms are arranged differently. This atom arrangement makes the two components act as opposites when it comes to anxiety. THC is known for its ability to make you anxious and increase your thoughts of paranoia. CBD has the opposite effect, reducing psychotic symptoms and decreasing feelings of anxiousness. For those who tend towards worrisome thoughts, CBD supplements can help calm those frazzled nerves. While the move to legalize Marijuana continues, there are still many states and countries that do not allow the sale of cannabis because of its THC content. CBD that is extracted from marijuana is illegal in many states because of its potential to contain more than an acceptable amount of THC. CBD can also be found in hemp (cannabis that has been cultivated to contain very little THC) which is legal in the U.S. Unfortunately, due to federally-imposed cultivation restrictions, hemp derived CBD can be expensive to cover the cost of having it imported. Many local companies are extracting CBD from both marijuana and hemp, so consult your supplier about its origin before traveling with it across state lines. THC and CBD are two marijuana compounds with very different effects. Thanks to years of careful breeding, we now have a huge selection of strains containing these — and many other beneficial cannabinoids– right at our fingertips. To learn more about the differences between THC and CBD, consult your doctor and budtender.